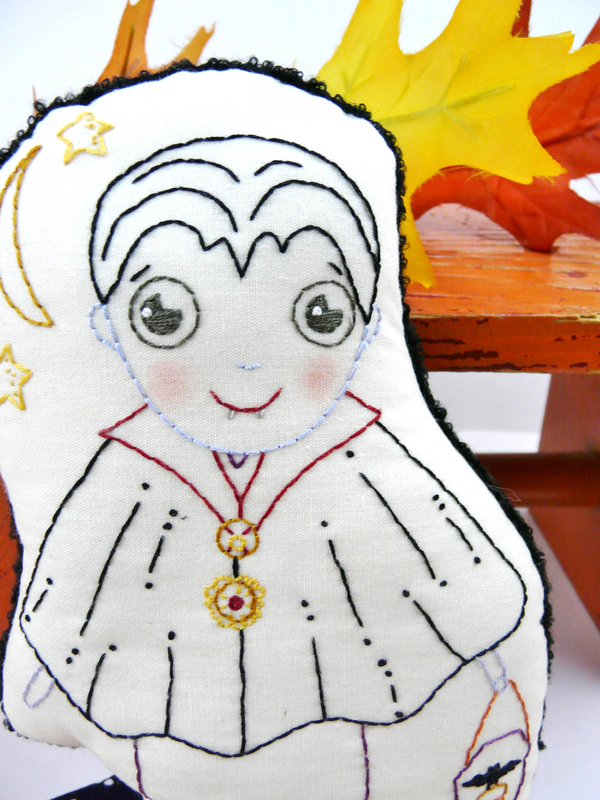 Stitch up the sweetest Dracula... perfect for your Halloween decor or for your kids to play with. 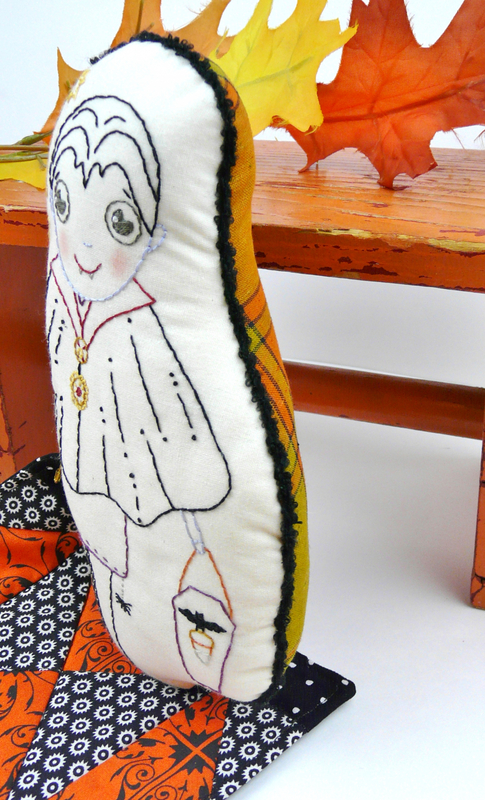 He is carrying his coffin treat container and has his own mini quilt. 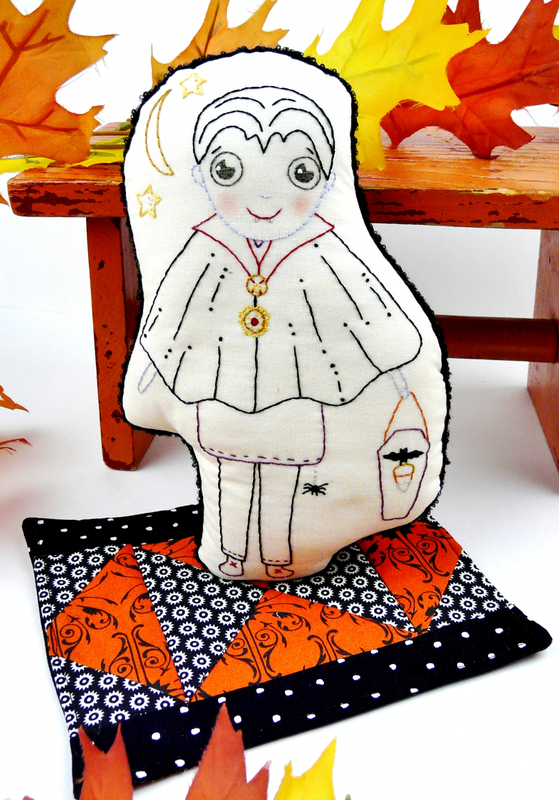 This is the 5th of a series of Halloween dolls... embroider up the whole collection! 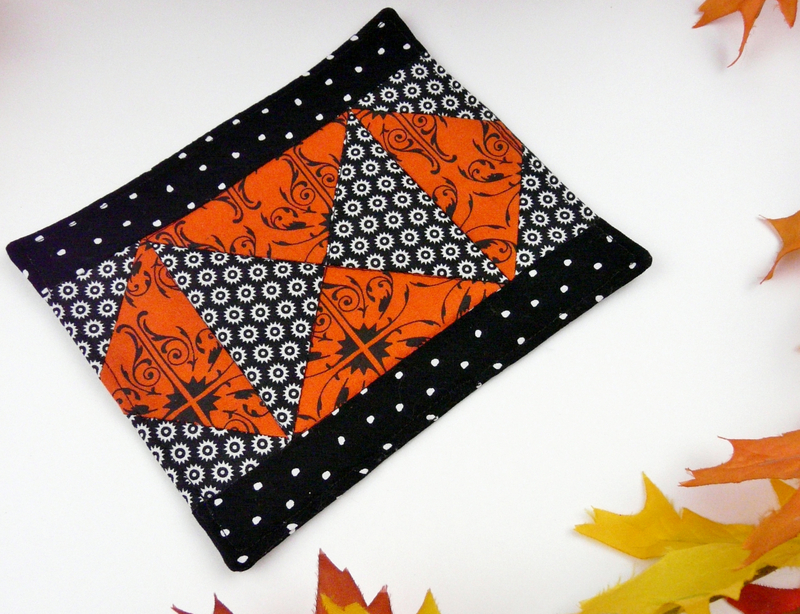 He has a family crest on his cape and a little spider friend. 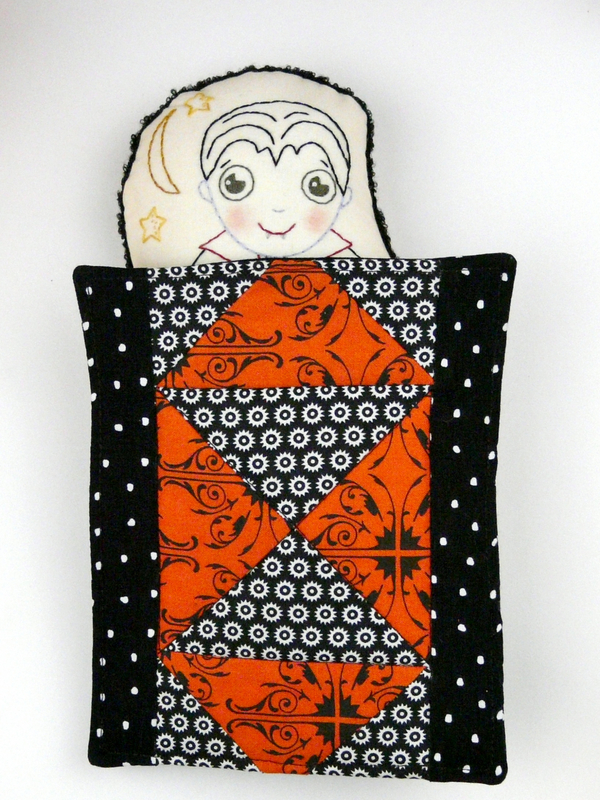 5 1/4" x 8 5/8"
Mini Quilt measures: 5 3/4" x 6 7/8"
The other dolls available in other patterns are....a pumpkin man, witch, zombie and Frankenstein.